What’s the first thing to say about Proactiv? 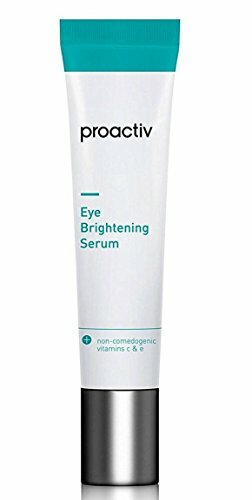 Why give the Proactiv Eye brightening serum a try? Which ingredients count within the formula? What’s to keep in mind when using it? How does it feel on skin? Starting early is essential when it comes to your skin and there’s no better time than now. Using the right skin care products, eating healthy and drinking enough water throughout the day is going to help and you should follow your skin care routine religiously. Also known as Proactiv Solution, Proactiv is creating skin-care products since 1995. It was the American dermatologists Katie Rodan and Kathy Fields who launched the brand back in the days. The brand offers body washes, hair products and moisturizers. 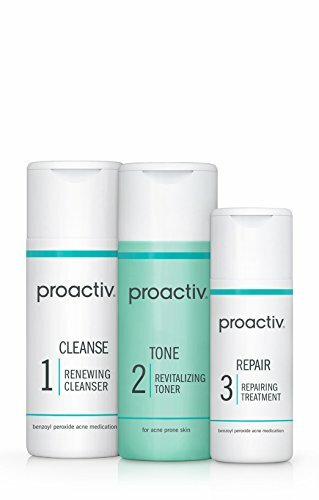 What really makes the people talk about Proactiv Solution is the three-step anti-acne kit that includes a toner, a cleanser and a lotion. This kit was brought to our attention in 2013. Proactiv stands out as an efficient 3-step acne system that is going to clear the skin, leaving it smoother and younger looking. Proactiv is a popular skin care brand and it has impressive sales numbers and giving it a try to one of its products is going to be the first step for better and healthier skin. The Eye Brightening Serum by Proactiv is made to efficiently remove the dark circles and puffiness from under the eyes. It’s a serum that is going to brighten the sensitive area around the eyes, while leaving it brighter and well moisturized. Thanks to its formula, the serum is going to calm the under eye area and soothe that delicate zone. The well thought formula includes peptides, antioxidants and effective moisturizing complex that is going to protect and nourish the sensitive skin around the eyes. Each of the ingredients plays its part within the formula but we’re only going to take a closer look at some of them. – is an oil-soluble and stable form of vitamin C. It has the power to improve the collagen levels and to brighten the skin. It reduces the melanin production and heals the effects of UV exposure and other outer stressors. It’s more effective than L-ascorbic acid and other Vitamin C compounds. It goes deep and easy into the skin and has a high rate of conversion to vitamin C within your dermis. Butylene glycol- eases the absorbency of the other ingredients within the skin. It hydrates the skin. Glycerin-it creates a gentle barrier that offers protection to skin. It sustains skin’s efforts to hold on to its natural moisture. It’s a popular natural humectant. Sodium hyaluronate- it plumps the skin and gives it a fresh vibe. It makes the skin look younger as it fills in the fine lines and wrinkles. It moisturizes and hydrates the skin for a long time. Olive oil- sustains the cellular regeneration. It eliminates the dead skin cells and slows down the aging of the skin. It nourishes and firms the skin. It keeps the skin smooth and hydrated. Avena sativa kernel extract-has a high concentration of antioxidants, healing the skin on cellular level. It puts aging of skin on hold and reduces inflammation. It addresses fungal infections and brings comfort in sunburns and rashes. It keeps acne at bay and removes dullness from skin. Squalane- softens and plumps the skin. It soaks right into the skin as it’s lightweight. It reduces the risk for eye-area dryness and it has impressive moisturizing abilities. It’s not greasy and non-comedogenic. It doesn’t cause irritation and it’s safe for sensitive skin too. It doesn’t lead to acne and balances the oil production in skin. It helps the cracked skin heal faster. It alleviates symptoms in dermatitis, psoriasis and eczema. It reduces the damage of free radicals on skin and evens your skin tone. It fights bacteria too. The serum is also dermatologist tested and non-comedogenic. It doesn’t clog pores and gives your skin a well-rested appearance. You should always apply the serum on clean and dry skin. 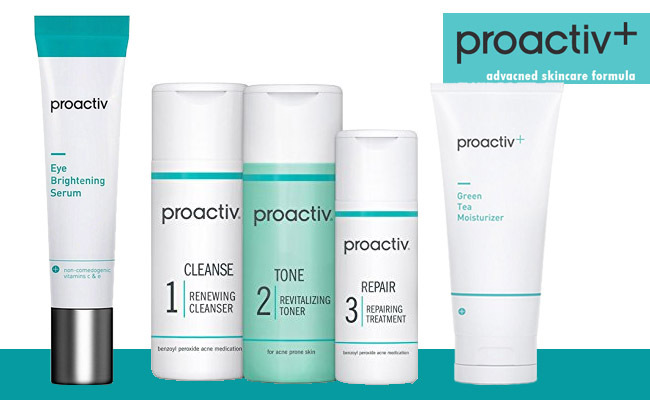 Proactive gives you the chance to try a complete solution with the Proactiv 3-Step Acne Treatment System. Using only your fingertips, pat nice and easy a small amount of the serum to the sensitive under eye area. Many include the serum both AM and PM. A little goes a long way so the serum is going to get you good for quite some time. It’s better to keep your eye closed while applying the serum. The serum has a silky feel and leaves a pleasant soft touch feel to the skin. The consistency of the serum is very light which is why it’s not going to take you long until the serum is fully absorbed into the skin. The serum doesn’t leave a sticky feel or an oily residue, but rather a cool sensation to the skin. As for the price, we’re not complaining either and we think the serum is quite an affordable choice for many out there. Don’t forget to moisturize. 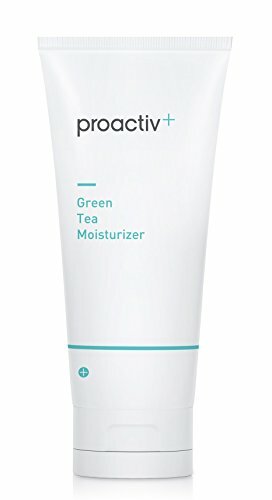 Follow the serum with the Proactiv+ Green Tea Moisturizer and you’re only going to improve its results. Part of a line designed to remove dark spots and to make skin look younger and brighter, the serum is a valid option for removing the dark circles and bags under the eyes. It’s a great choice to take care of dark spots around the eye area and it’s not pricey either. Our latest cosmetic product reviews: the Stila Aqua Glow Serum Foundation, the Klairs Rich Moist Soothing Serum, the Kiehl’s Midnight Recovery Concentrate, the ORS Fertilizing Serum, the My Daily Dose of Glow Illuminate Serum from Skin Inc. Review. PreviousPrevious post:Illuminate & Brighten Your Skin with “My Daily Dose of Glow Illuminate Serum” from Skin Inc.